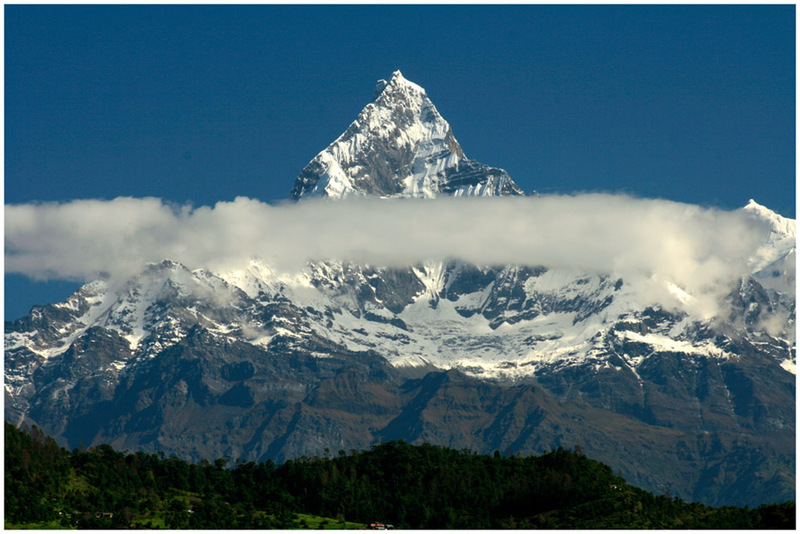 Machhapuchhre, also known as Fish-Tail mountain is 6,993 metres (22,943 ft) and is unaccented mountain of Nepal. 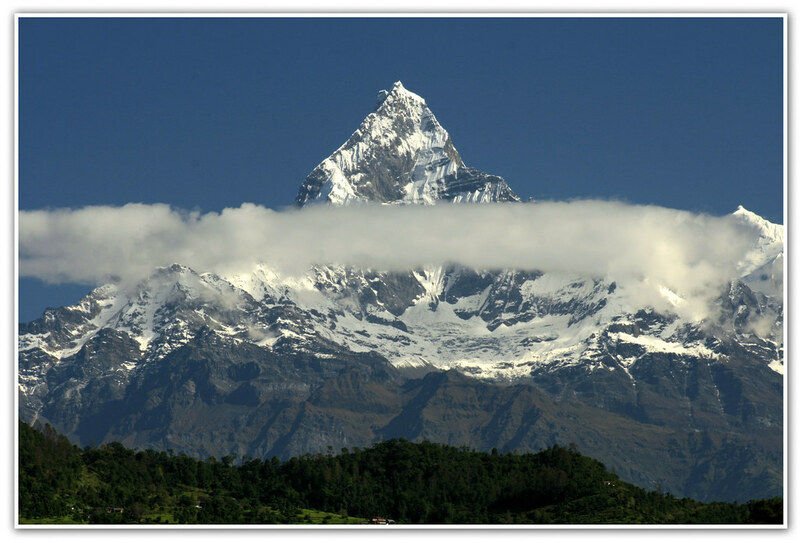 One of the primary attractions of the Pokhara region, its majestic view lures the tourists to this destination, specially when the snow-capped mountain is reflected on the Fewa lake. I took the shot from a slightly different zone - on my way back from Syangja - which lies towards the west from Pokhara and the two tails of the FishTail are visible. The tails are not visible from Pokhara. On the first Dashain following my wedding, I was in a visit to my in-laws (its our tradition) and it was a nice experience - riding a bike - enjoying my wife's company - amidst the beautiful landscape - bright mountains - on a early morning sun - which I missed since long long ago.